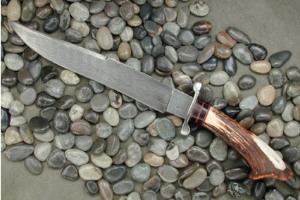 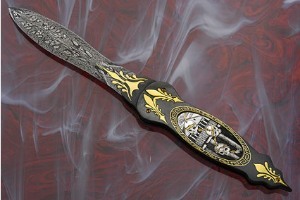 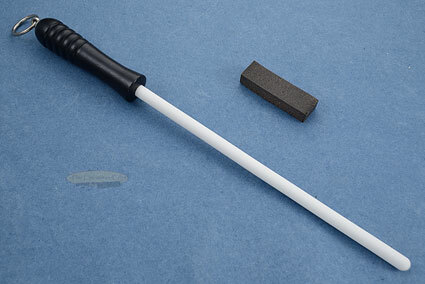 Mastersmith Shane Taylor has been a full time bladesmith since 1992 and became a mastersmith in 2000. 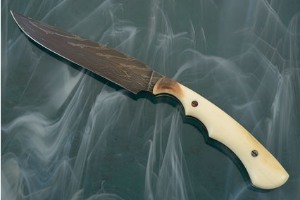 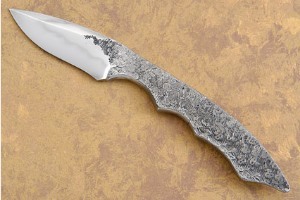 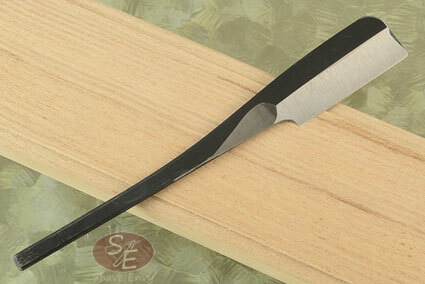 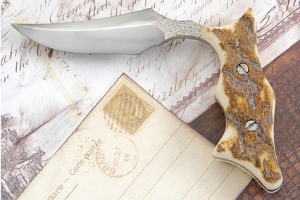 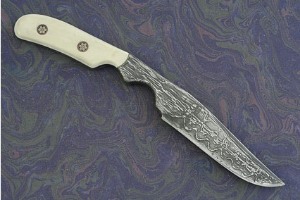 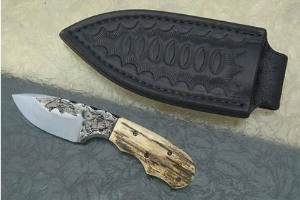 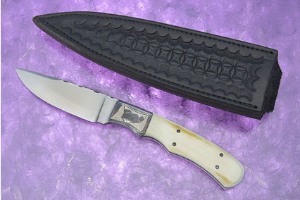 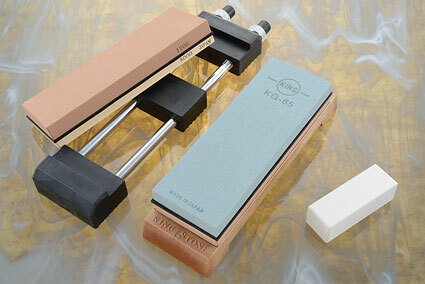 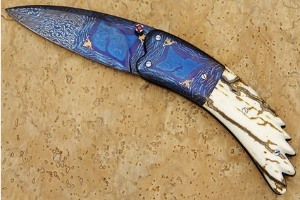 In 2001, Shane was the first recipient of the James Schmidt Award at the East Coast Custom Knife Show in NYC. 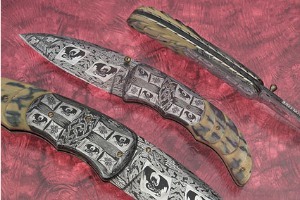 In addition, he was awarded both Best Damascus Knife at Blade Show (Atlanta, GA) and Blade Handmade Award, three times each! 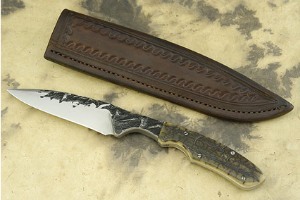 Shane began making knives at 12 years old so that he could have a quality knife while working on the family ranch. 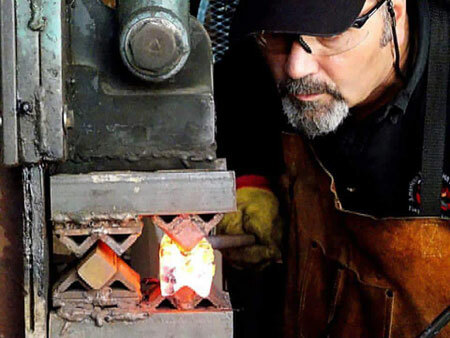 He started out with simple tools - a coal forge, a hammer, and an anvil. 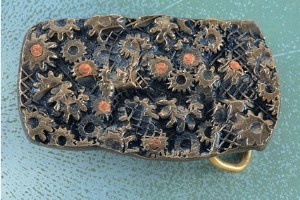 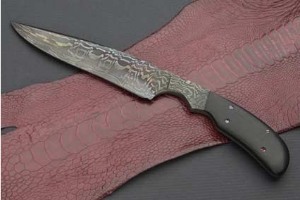 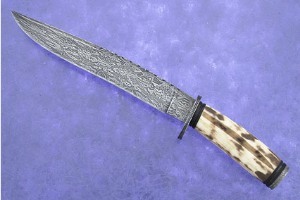 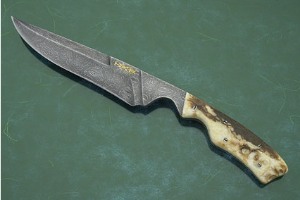 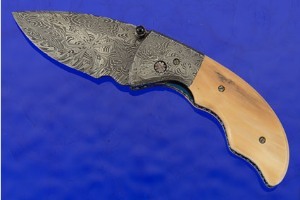 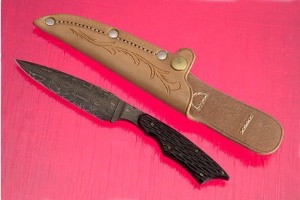 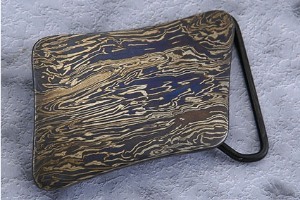 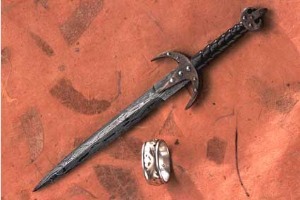 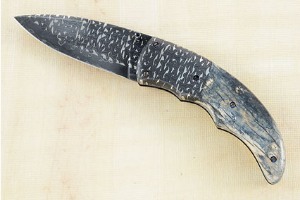 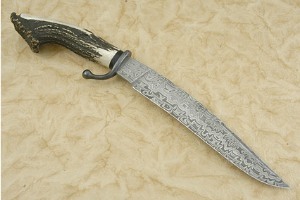 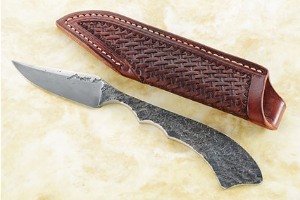 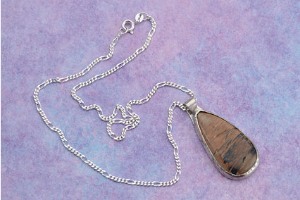 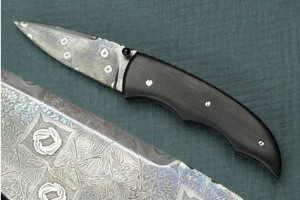 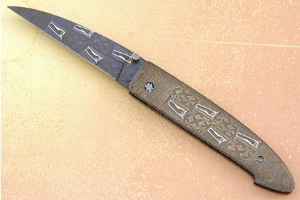 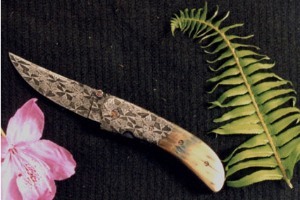 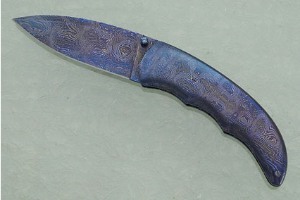 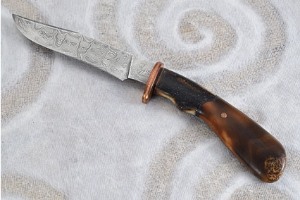 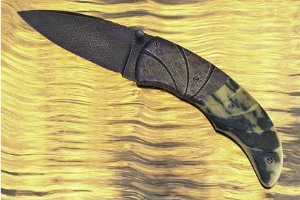 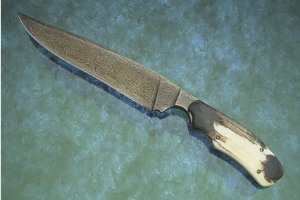 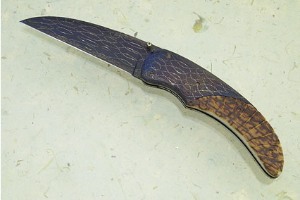 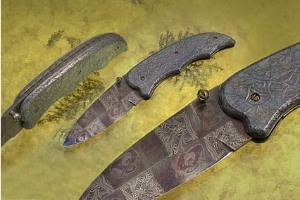 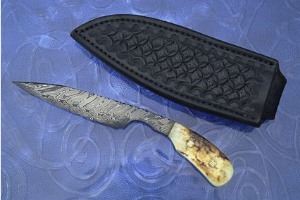 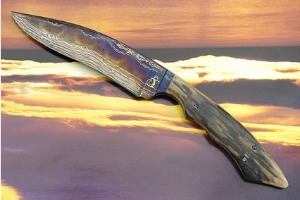 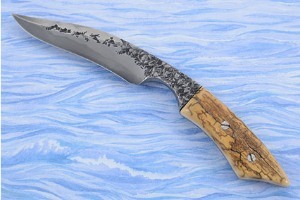 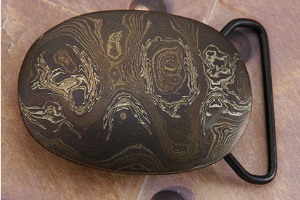 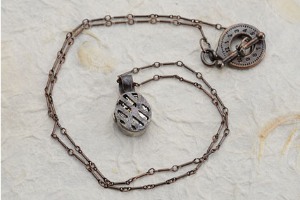 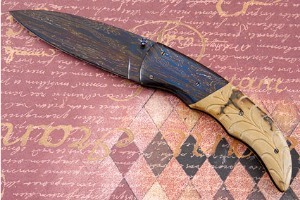 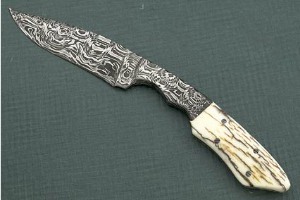 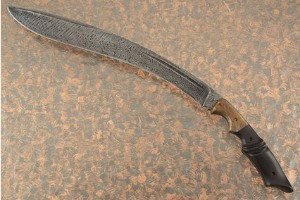 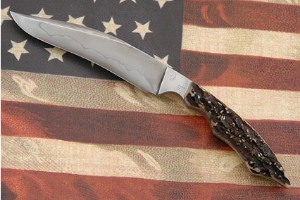 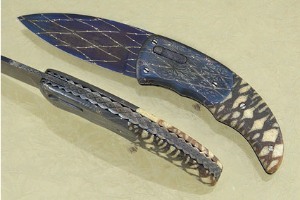 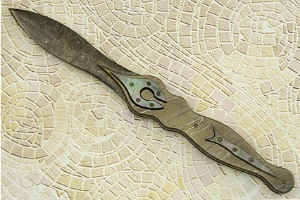 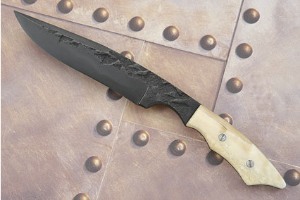 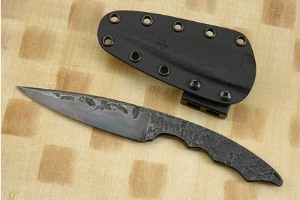 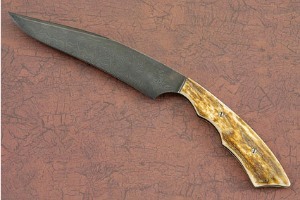 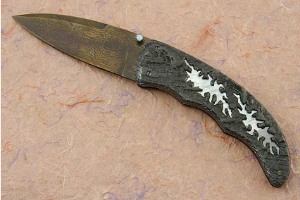 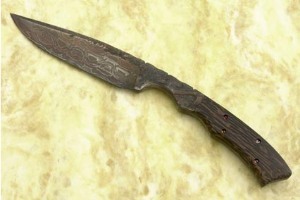 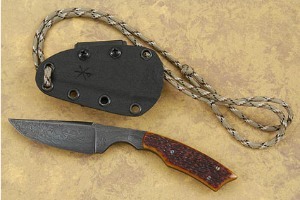 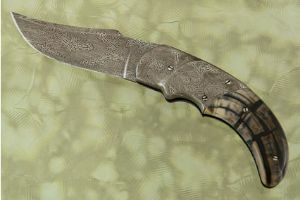 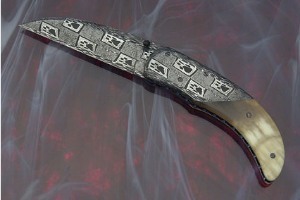 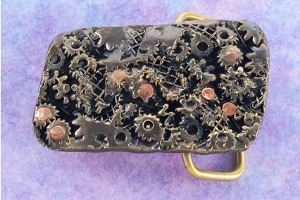 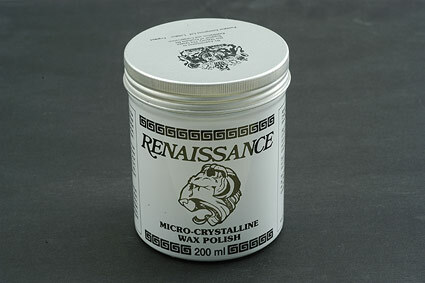 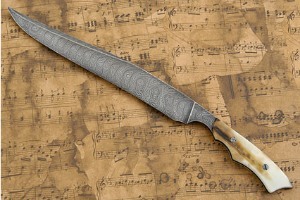 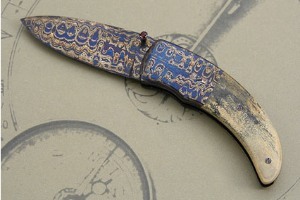 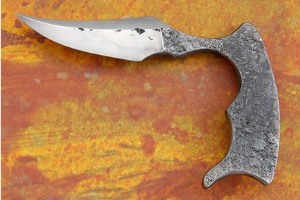 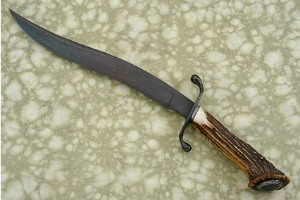 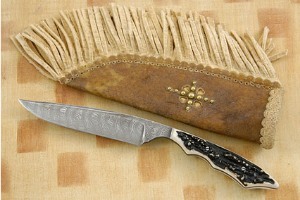 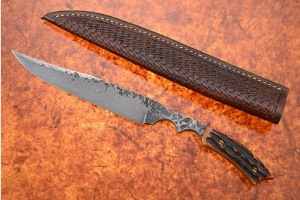 Shane was one of the makers who developed modern damascus. 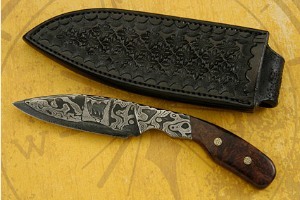 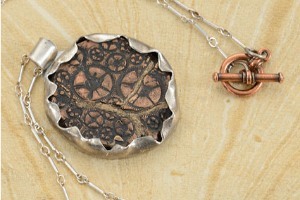 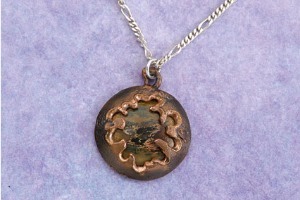 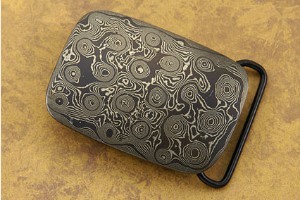 At 23, he started experimenting with damascus and it continues to be one of his major inspirations today. 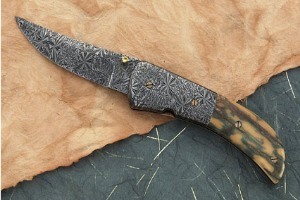 His fascination with mosaic damascus began after hosting a hammer-in where Mastersmith Steve Schwarzer demonstrated his cutting edge work in the field. 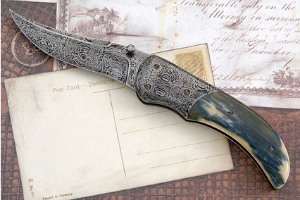 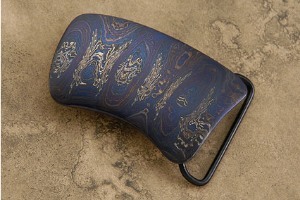 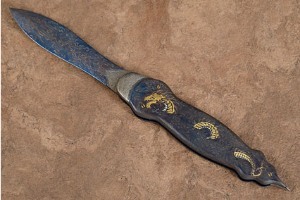 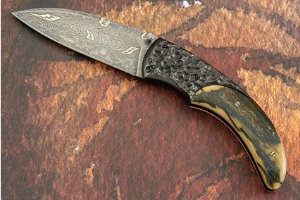 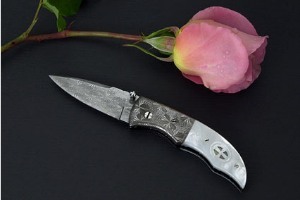 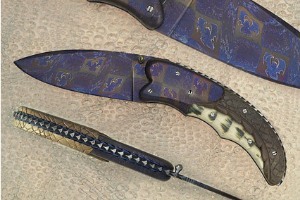 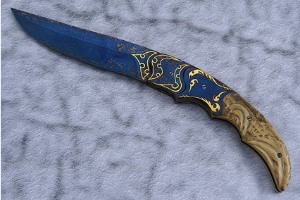 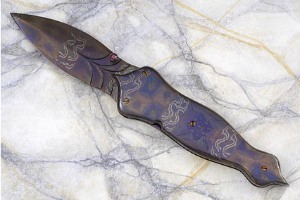 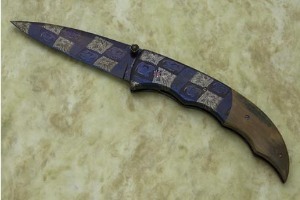 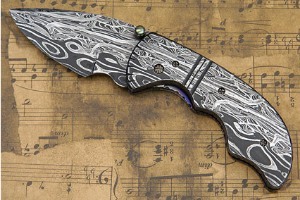 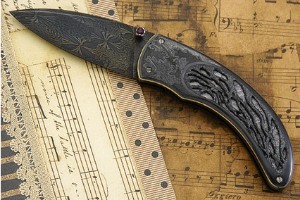 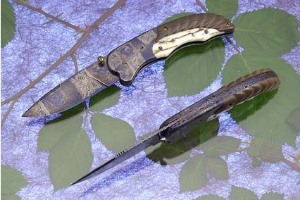 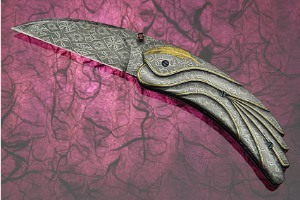 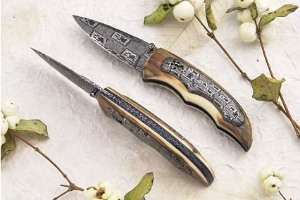 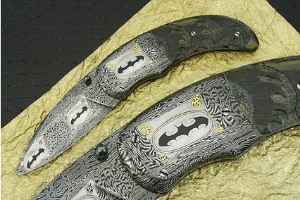 Shane is best known for one-of-a-kind art knives, with an emphasis on pictorial mosaic damascus and highly engraved art knives. 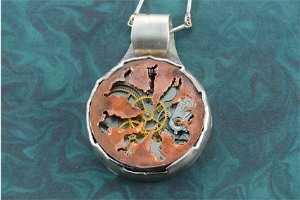 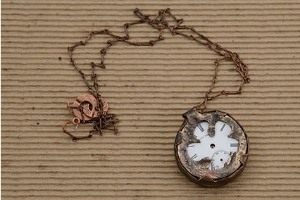 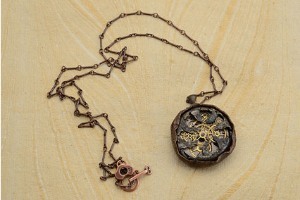 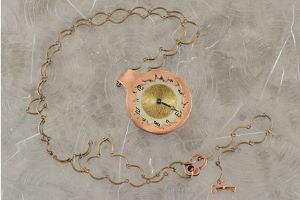 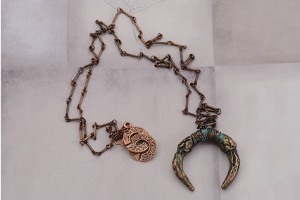 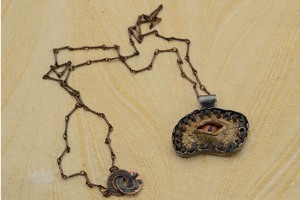 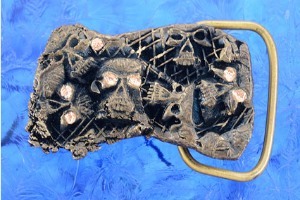 His unique vision is influenced by steam punk and gothic aethetics. 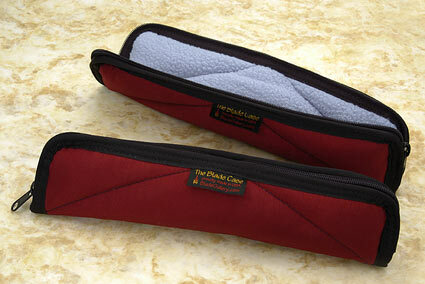 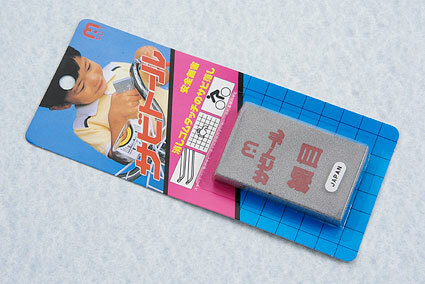 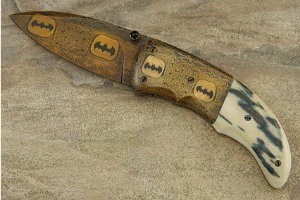 Among his best known designs are the batwing fighter and the batwing folder. 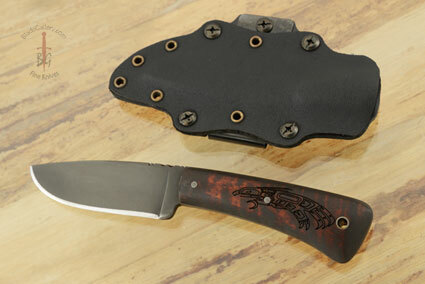 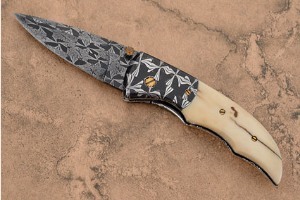 Additionally, along with Mastersmith Rick Dunkerley, Mastersmith Wade Colter, and Barry Gallagher, Shane created the Montana Boy folder style. 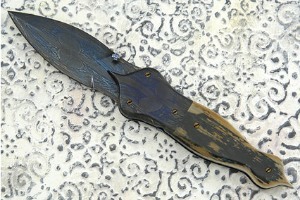 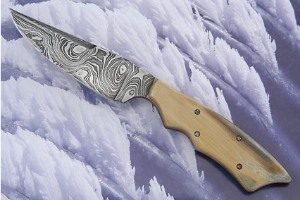 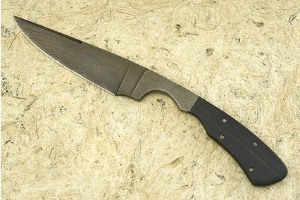 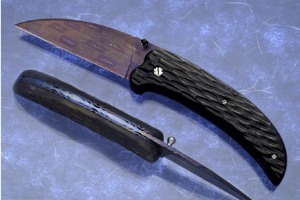 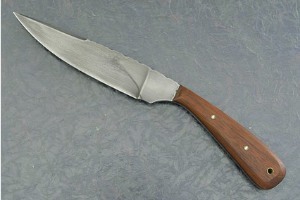 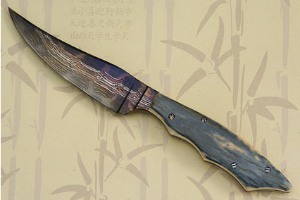 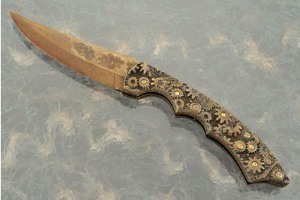 Shane continues to create some of the most inspiring knives that I have ever encountered. 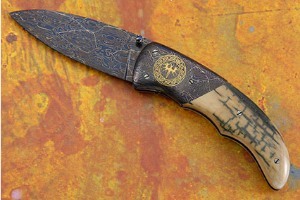 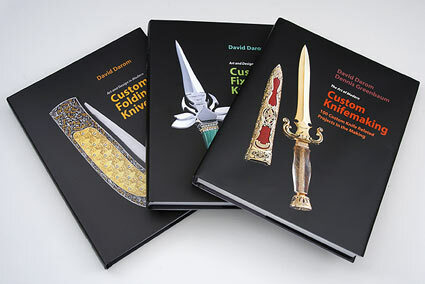 Mastersmith Shane Taylor's work has been featured in Blade, Knives Illustrated, Tactical Knives, Knife World, Knives Annual, Japan Knives, and several European magazines.